Over two decades ago, Michimasa Fujino was unpacking boxes containing his personal belongings after moving from Japan to the US when he came across a 1930s tome on fluid mechanics by Bavarian physicist and engineer Ludwig Prandtl. Flipping through its pages, the freshly minted leader of Japanese automaker Honda R&D’s HondaJet project discovered the equations of airflow around a body such as that of an aircraft’s. By industry standards, his design was considered “impractical and sometimes, impossible, for high-speed aircrafts”. But a determined Fujino stood by his design, confident that it would set a precedent. In 2001, he obtained a patent for HondaJet’s over‑the-wing engine mount configuration. Four years later, the HondaJet debuted as an experimental aircraft at the EAA AirVenture in Oshkosh, Wisconsin. The positive reviews from the showcase helped Fujino push his case to commercialise the plane. Within the next year, Honda Aircraft, the jet-making arm of Honda, was formed, with an even more zealous Fujino as its president and CEO. 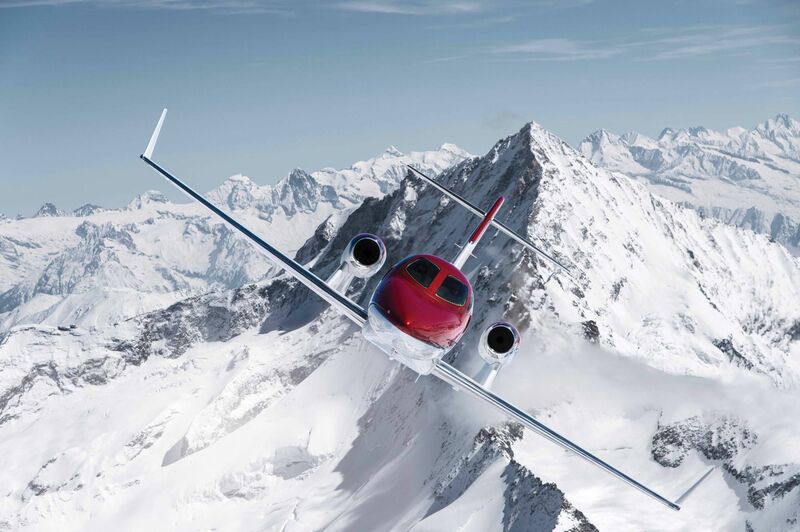 Honda Aircraft currently produces four HondaJets a month and has delivered 86 planes to their respective buyers, including American multinational conglomerate General Electric. This January, when Honda Aircraft exhibited at the Singapore Airshow 2018, it announced its single largest order ever—16 HondaJets for European air taxi company Wijet. Beyond its main headquarters in Greensboro, North Carolina, the company has also established a presence in Southeast Asia and China via exclusive dealerships. In May, the company also unveiled the elite version of the popular light business jet. The HondaJet Elite showcases an upgrade in avionics system, fuel efficiency, noise control to improve cabin quietness and safety features. No doubt, with Fujino piloting the plane, the company will only continue to soar. This article first appeared in the June 2018 issue of Singapore Tatler. Watches Do Luxury Partnerships Make Good Business Sense?